Okay, so these are my favourites of the books I’ve read this year, and as I normally do I’ve split it into two separate top 5s, one fiction and one non-fiction, however this year there’s a special consideration for a book which fits across both categories. 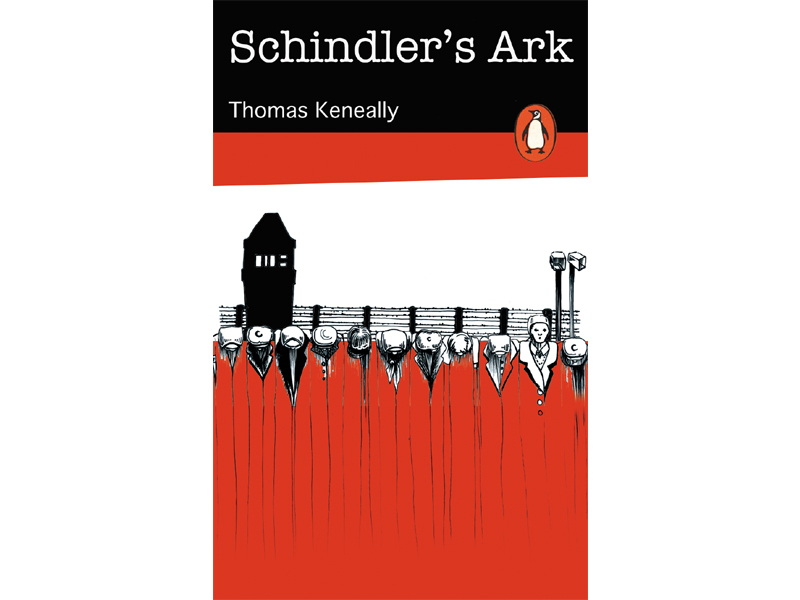 This book is Thomas Keneally’s Schindler’s Ark, which while based on real events is written with the style and flair of a novel, to gripping effect. Keneally uses his skill as a writer to investigate the motivations behind the key players in a fascinating and inspiring true story. He doesn’t shy away from Oskar Schindler’s flaws, portraying him as a realistic human and hero. The book is intensely moving in places and could easily have topped both categories, but as I said, it blurs the lines and I feel warrants it’s own special mention. 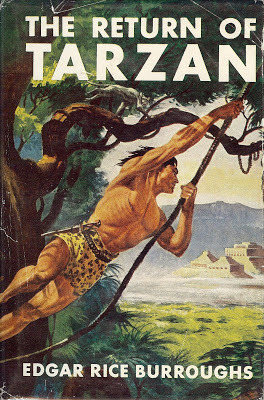 The first two parts of the Tarzan series by Edgar Rice Burroughs are fun, fast paced and pulpy yarns which while a little dated in places still manage to work as entertaining adventures and I’ll probably check out a couple more of the ape-man’s escapades. Reviews here and here. Superheroes vs zombies in a fun, exciting zombie apocalypse story. Clines still has room to improve as a writer, but does show some skill for character and inventiveness. The first part in a series, I will be checking out more to see where Clines takes the story. Review. McBain writes a tough, hard bitten pulp thriller revolving around the cops of the 87th precinct as they investigate a mugger with a unique MO who may have graduated to killing. A fantastic page-turner. Review. A little predictable in places, and nowhere near as good as The Fault In Our Stars, but Green’s writing is still sharp, clever and witty. The story of an unlucky in love nerd trying to find meaning in his failures is filled with bizarre tangents and teenage awkwardness. Proof that Green is one of the best writers working in the young adult genre. Review. 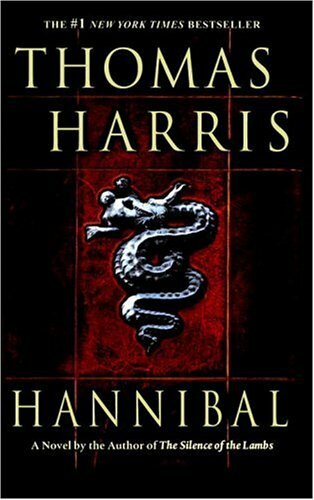 The ending disappoints but until then this is a masterpiece of thriller writing, with Harris putting his charming, cultured cannibal at the centre and unfolding a grim, dark story of revenge and obsession. The tension builds beautifully and there are genuine chills along the way. Utterly gripping and the kind of book you blaze through in a few obsessive sessions. Review. The wrestler’s autobiography is a fantastic, compelling read that lifts the lid on the backstage politics of the business and the backstabbing and jealousy that engulfs his family. 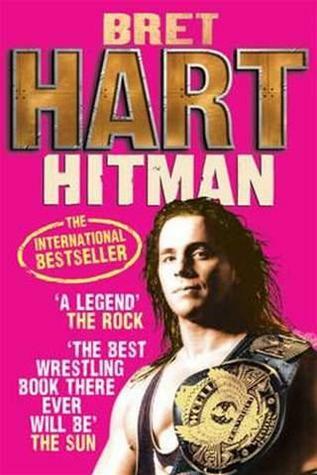 Hart tells his life story in an open, heartfelt way, and is honest about his own failings. For wrestling fans it’s a must, and for non-fans it would still make a damn interesting read. Review. Ronson investigates various conspiracy theorists and nutjobs as he examines why the idea of a powerful “them” pulling the strings is so appealing to some, and who exactly these shadowy figures may be. Ronson’s writing is funny and clever, especially as he finds himself actually being sucked into the paranoia of those he meets. Review. Proving that economics is more than just money, this fascinating book tackles different subjects like cheating sumo wrestlers, the crack cocaine market and why crime in the 90s was so much lower than experts predicted. Written in easy, sardonic language it shows how motivation drives humans and the weird way things can be connected. Marvelous and manages to make economics fun and interesting. Review. In a gleefully gory and captivating read, Roach examines what happens to human bodies after death. Taking in organ harvesting, scientific learning and even cannibalism this is an utterly engrossing book which benefits from Roach’s informal, relaxed approach and is the kind of book that has you sharing bizarre, grim facts with everyone you know. Review. 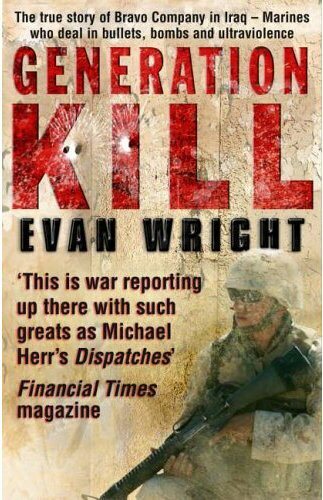 Wright accompanies a group of Marines during the Iraq war, capturing the chaos of war and the way it effects the young men who fight. Having spent lots of time with the unit Wright gets to know his subjects, they share their thoughts and he captures their quirks. What’s interesting is the way the men view combat and their enemies, in a decidedly less gung-ho way than you’d expect. Also captures the way the higher ups can make disastrous and inexplicable decisions, and how it’s the men on the grounds who have to adapt to these new strategies and do their best to survive. Review. This is the last book I’ll have as part of my Kindle unlimited deal, having cancelled it. On balance it’s a good deal if you want lots of quick reads to pass the time, and you get through a few a month. But my reading rate has been slower recently and quite a few of the books I want to read aren’t included on the Unlimited offer. As it goes this was quite a good book to finish on, as it’s a short, but fascinating read. Shaun Walker is a reporter who notices something when he’s in the Ukraine, there are lots of dates going on between younger Ukrainian women and older, foreign men, with interpreters accompanying them. Looking into it he discovers there is a thriving business in Ukraine and Russia where men from countries like the US and the UK seek Ukrainian brides. Walker manages to get a place on a trip arranged by a website set up to connect foreigners with Ukrainian women looking for husbands. The trip will consist of “socials” where the guys are introduced to girls and can then arrange dates for later in the trip. Many of the men have been chatting to women online (for a price) and are keen to meet them in the flesh. Unfortunately as the trip progresses there are a high number of no-shows from these women and the dates prove costly. Walker begins to suspect that there is something fishy about the whole business. Meeting and talking to the men and the women they meet on the trip Walker delves into the reasons both parties take part and how the whole system works, and can be abused. Walker’s writing style is pretty relaxed, and he writes with a great eye for detail and conveys his own feelings without letting them overpower the story he’s following. The women involved seem rather tragic, many actively hoping for a better life but when confronted with the boorish tourists they embrace the mercenary possibilities. There are some cases where the women are actively trying to fleece their would-be suitors. But this is not a case of the men being victims, as their intentions are often questionable. There is repeated talk of wanting a Ukrainian bride as they are more “family orientated” or “old fashioned”, which seems to be code that the women do what they’re told and will stay at home. In fact, one of the men is looking for his second Ukrainian bride after the first was “corrupted” by America, by getting a job and not doing enough chores. It’s depressing and at times the way the men talk is so misogynistic it makes the blood boil. Some of the men do seem to genuinely want companionship, but there’s a seedy undertone throughout that is never fully shaken off, despite the organizers’ best efforts to make it cheerful and friendly. Some of them are sad stories, alone and uncomfortable seeking dates back home, intimidated by the women at home or too shy to approach, others are constantly tricked and conned. Walker warns one to be careful, but the guy seems smitten, buying into the dream the tour peddles. It’s an interesting insight into a world I hadn’t thought about before and paints a rather sad image of men and women looking for something, each side attempting to take advantage. The men are sexist, patronizing and slightly creepy, while the women are at times greedy and duplicitous. The situation seems doomed to failure, with language barriers and age gaps causing problems without the attitudes involved. Walker is insightful and digs into the back story of those involved, reserving judgement although at times his distaste bubbles to the surface. It’s a little bleak in places and won’t do wonders for your faith in humanity, but it’s a quick, fascinating read and definitely worth checking out. Verdict: Interesting if slightly grim and unsavory. Walker is a talented and engaging writer. A quality quick read. 7/10. Continuing to use my Kindle Unlimited deal (due to lapse imminently) I checked this book out, I’d heard of it and knew there’d been a movie adaptation and as titles go it’s quite attention grabbing. 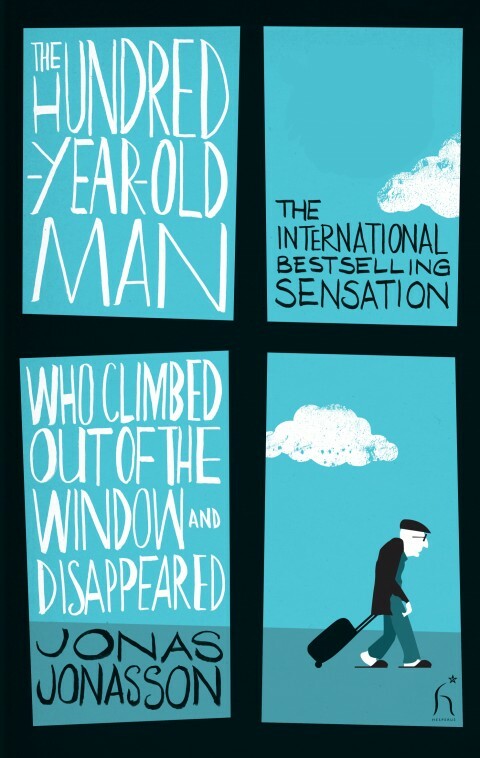 The plot starts with Allan Karlsson who has just turned 100, and decides he doesn’t want to hang around for the party which is being thrown for him at his old people’s home, and so Allan climbs out the window and makes good his escape. While waiting for a bus he is left in charge of a suitcase belonging to a rude young man, and on a whim he chooses to steal the suitcase. The case transpires to be full of money and the young man a member of a gang, and so he pursues Allan. Meanwhile the police, alerted by the old people’s home are also on his trail. Allan then embarks on a journey which sees him meet a parade of interesting, colourful characters and managing, despite his slow pace, to stay ahead of the criminals and cops on his tail. A few twists of fate along the way dispatch those in pursuit, and has the police starting to view him more as suspect than victim. Along the way the story jumps back to recap Allan’s life thus far, including several chance encounters with key historical figures from the 20th century and how Allan inadvertently effected history throughout his life. The movie is quite good fun, with an easy, gentle pace and light hearted tone, although there are moments of dark comedy throughout. Allan makes for a reasonably likable protagonist as he shuffles into various scrapes, building friendships and evading justice. The sections set in the past have a sort of Forrest Gump quality to them, with the anti-politics Allan meeting dictators, presidents and scientists and shaping history for both sides of the Cold War. It’s not a book that’s grounded in realism or in being believable, but it’s rather good fun and passes the time well enough. The end of the book fizzles though slightly, with the denouement going on a bit too long and feeling unnecessary, and the tone doesn’t work for all of it, at times the easy lightness just feels glib and while it engages enough to keep you reading the characters are never truly explored, meaning they’re not the most rounded. It’s a good, simple read and has a few nice touches, but too many contrivances of plot and shallow characterization stop it from being anything more. Verdict: Light, easy and fun, it doesn’t quite work completely but it’s still a decent enough read and raises a few smiles. 6/10. I recently signed up for Kindle Unlimited, which lets you rent books for a time on your Kindle device. It’s a pretty boss idea, even if the selection is limited, however, one of the side effects is that I’m just diving in and checking out books I may not otherwise have stumbled on, which is a good thing. For example, I found this book, which turned out to be a bit of a gem. The memoir follows Mishka Shubaly’s time trying to make it as a rock musician. He describes how from a young age he was hooked on rock ‘n’ roll and the glamour of being a travelling musician. 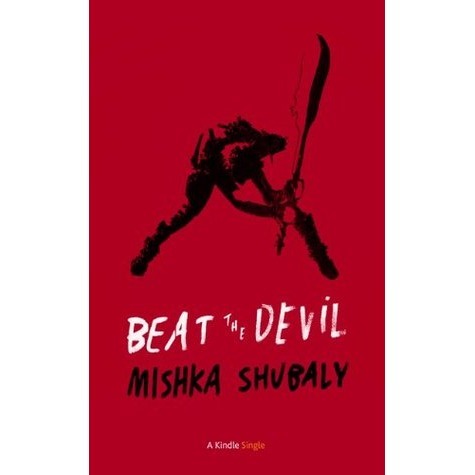 What follows is a fascinating account of Shubaly’s time in various bands and his battle with addiction. Along the way bands implode, relationships crash and burn and Shubaly disappears deeper into drug and booze induced madness and depression. At times it’s painfully upfront, Shubaly discussing his own flaws and failings, recounting terrible comedowns that followed shambolic gigs in front of small, often apathetic crowds. There’s a real visceral quality to his writing and it never shies away from the filth and lunacy on display, and at the end, the now sober Shubaly reflects that he was responsible for many of the failures his rock and roll dream suffered. It’s interesting to see the story of bands that never quite made it, who put out records and gigged for a bit but never really caught fire, and Shubaly acknowledges that for all the hard work, sacrifice and time put into following the dream there’s very little to show for it, a couple of EPs and some old gig posters. What hurts more is that as part of New York’s rock scene he sees his peers go on to bigger, better things, for example, the Strokes, who opened for his band exploding while his falls apart. Shubaly captures the desperation and crazy world of this low level touring, the bickering that would tear bands apart and his own descent into depression and self loathing. It’s not for the faint of heart but it’s magnificently written, in an easy going, honest manner, and finding Shubaly clean, sober and having set aside his painful rock dreams is the kind of happy ending life doesn’t always give you. Verdict: A fascinating account of rock’s lower levels, capturing the author’s downward spiral but still keeping you on side, largely because Shubaly is open and candid about his mistakes. A great quick read, and I’ll check out more of Shubaly’s stuff. 8/10. Halfway through this book I realized I’d read it before a few years back and kinda remembered how it finished, not that it’s a massive stretch anyway. That’s not a criticism though, because I kept on reading because it was hugely entertaining. McBain’s writing is extremely pulpy and this a fantastic page turner. I blazed through it in a couple of days and it was a great read for my breaks at work because I could zip through it quite easily. The plot follows various cops operating out of the 87th precinct in a fictional city. A mysterious mugger known only as Clifford, has been striking across the area, hitting women to ensure their silence and with rare flair bowing and thanking his victims. 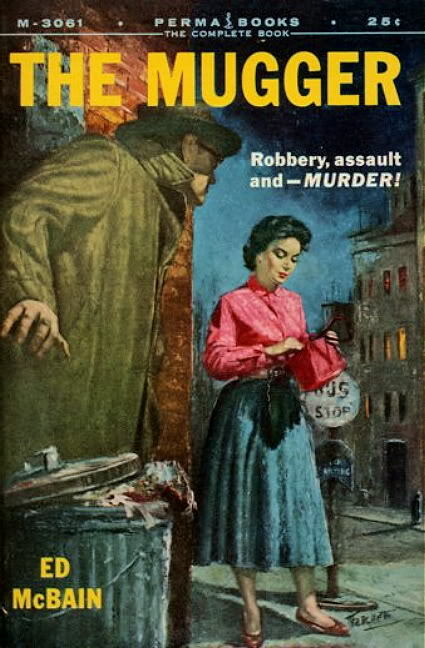 Detective Hal Willis is investigating, and enlists Eileen Burke, a female detective to serve as bait in a sting operation. Meanwhile, patrolman Bert Kling is recovering having been shot and is approached by an old school friend who wants him to talk to his sister-in-law, a teenager who’s been acting oddly. Kling talks to the girl but gets no luck. The girl is then murdered, seemingly by Clifford in a mugging gone wrong. Willis is still after Clifford, while Kling, at the request of his friend’s wife, investigates further, trying to work out whether the mysterious man in her life was Clifford and if so why she was killed. The situation gets murkier when it’s revealed that the girl was pregnant at the time of her murder. I really dug this book, which is written with a real pulpy/noir vibe, full of fast paced dialogue and tough guy heroes it’s a gripping thriller and McBain’s writing is also quite clever and funny in places, sure, some of the mystery is easy to see coming but it’s still a fast paced, enjoyable read and further installments of the 87th Precinct series have already been added to my Kindle thanks to their new Unlimited deal (which is alright, if limited in what you can get). Verdict: A gripping, pulpy yarn with a nice eye for character and some tough, gritty writing. 7/10. This is the second book by Mike McIntyre I’ve read, having really enjoyed his story of hitchhiking across America in The Kindness of Strangers, so I was pretty keen to read about his decision to spend an entire year travelling around the world with his partner Andrea. After renting out their house and selling a car they set off around the world, with McIntyre documenting the trip in a series of columns which are collected here. It’s a fascinating trip and McIntyre’s writing is delightful, with a great self deprecating sense of humour and an eye for detail, he captures the surreal sights of the trip and the small moments of magic. Even when he’s moaning it’s always in a funny, interesting way. He captures the beauty of New Zealand, the oppressive, intense life among India’s touts and relaxing in Fiji. It’s a great itinerary and definitely gets the feet itching. Split into short, entertaining pieces it’s a great quick read and ideal for a commute or your lunch breaks, which is how I read most of it, or just for short bursts that you can dip in and out of. I thoroughly enjoyed it and will definitely look for more of McIntyre’s work. Be warned though, it will make you green with envy at times, and just add more places to your destination wishlist. Verdict: Incredibly entertaining, a wonderful quick read about a truly impressive and intriguing trip. McIntyre is a charming, funny guide through the journey and his writing is captivating. 8/10. Having enjoyed the first installment of Burroughs’ ape-man’s adventures I downloaded this onto my Kindle and added it to my extensive reading list. As with the first it’s a rather fun, old school adventure. Picking up where the first left off we find Tarzan of the Apes, returning to Paris and planning his next move, having renounced his place as the rightful Lord Greystoke and leaving his love, Jane Porter, to marry his cousin, Clayton, who also has his title. With Jane having gotten engaged before he arrived in America he knows she can’t break her promise and that claiming his birthright would cause her to be poor and troubled. Aboard the ship back Tarzan becomes embroiled in intrigue surrounding a Countess and her scoundrel of a brother, and saves the day, making a new enemy in the process. He then takes work for the French authorities, working to find a possible traitor in the French Empire’s Arabian territories. The same enemy reappears and they have further run ins before Tarzan is cast away and finds himself back in the African jungle. Meanwhile, Jane is delaying her marriage and winds up shipwrecked in Africa again, will her path once more cross with the ape-man? I really dug this book because ERB takes the brave step of changing things up for the first half, with Tarzan either in Europe or the desert and out of his comfort zone, and also has his hero engage in espionage and intrigue for a bit, with brief flurries of action and man-on-animal battles. Tarzan meets Arab tribes and has to rescue a beautiful countess from possible scandal. In the second half Tarzan is back in the jungle and the action comes fast and furious, he joins and leads a native tribe, he discovers a lost city filled with gold and then finally he is reunited with Jane. Some might say there are no such things as coincidence, but there definitely is in ERB’s world, characters meet by chance or are reunited in distant corners of the world and when Jane is shipwrecked it is mere miles from where she came ashore in Africa before. You can overlook these, and some dubious attitudes on breeding and culture from ERB because for the most part it clips along at a great pace and Burroughs manages to make Tarzan an incredibly noble and chivalrous hero, who is governed by a strong moral code which exists somewhere between the laws of nature and man, it definitely brightened up my lunchbreaks at work. Verdict: An engaging old fashioned adventure which mixes the jungle action of the first with a few new twists. Cliched in places, but still very good fun. 7/10. I continue to torture myself with travel books, and this one was especially masochistic as it deals with a long term US road trip, which is on my bucket list. 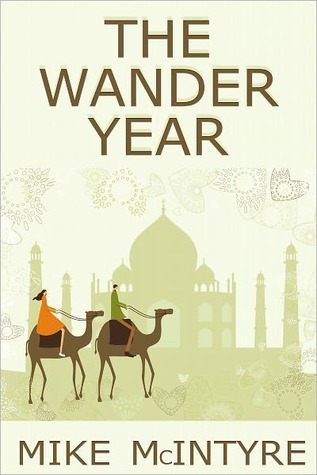 It’s an interesting read, with Thompson, a former foreign correspondent deciding to hit the road as he gets older. The trip is inspired by his increasing boredom with his quiet life and realization that he doesn’t know much about his homeland. What follows are his short recollections of the trip, the sights he sees and the people he meets along the way. At times he can be a crabby old man (not a fan of women with tattoos) but Thompson is always entertaining and clever in his writings, capturing his love of the America he discovers and the renewed energy the trip gives him. He also reflects on how America has changed, the way travel has changed and the towns which have become empty and forlorn as the road tourism has dried up. Along the way he has brief liaisons with women, gets stoned and chats to random folks he meets, all of which he recounts in short, entertaining entries. Thompson seems to embrace the life on the road with gusto, enjoying the nature and solitude, but also using the skills of his former job to coax life stories from strangers and go off the beaten track. Funny, touching and extremely honest it’s also a pleasantly quick and easy read, and I’ve spent my lunchbreaks this week tearing through it, losing myself out on the road with Thompson and torturing myself with dreams of being far away. Verdict: A really good read, Thompson is a skilled writer and he meets fairly interesting guide. The only downside is that it’ll make you wish you were on the open road too. 9/10. As a bookaholic, I love charity shops. I get to give to a good cause and load up on random books. Taking advantage of a 3 for £1 offer I picked up this book, which I’d never heard of before. It turned out to be an interesting read, and not the kind of thing I’d normally go for. In the Ukraine, Viktor is a struggling author, unable to finish a novel and with his muse only sticking around long enough for short stories, he’s in hard times, living alone with only Misha the penguin he’s adopted for company. However, one day he is offered an odd job- writing obituaries in his philosophical style, for subjects still living. At first the job works out fairly well, with Viktor digging into the lives of notable figures, originally picking them from headlines before getting files of new subjects from his editor. Things start to get shaky when Viktor is visited by an old man, Misha-non-penguin, who offers vague hints and a shady background. Then people he’s written about start dying, and Viktor begins realizing that he might be part of a bigger plot. I have mixed feelings about this book it’s pretty short but in some places well written. Kurkov balances the mundane with the absurd, as Viktor stumbles through his life, often in denial and unable to comprehend what he’s involved with. The conspiracy theory unfolds at a leisurely pace, although it is a tad predictable, and at times the length of time it takes for the penny to drop is a struggle. Viktor is an unlikable protagonist, self obsessed, selfish and slightly dim, but the story moves along fast enough to hold your attention. Kurkov’s weakness seems to be his character work, as none of them, not even the penguin seem developed enough and they don’t react in natural or believable ways. 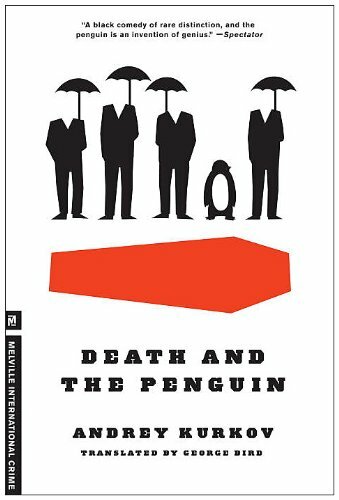 There are few jokes but there is some absurd and dark humour throughout, some of which works, some of which doesn’t, and the ending feels fitting for the downbeat world the novel takes place in. The problem is while it was a fine way to spend the time I’m struggling to keep a clear idea of the book in my head and the overall impression is that of disappointment. Verdict: An interesting, darkly comic conspiracy theory. The protagonist is deeply flawed, but it’s a quick read and keeps you interested even if it won’t stick with you much. 4/10. 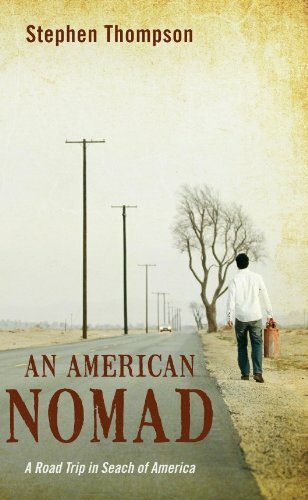 Having loved the movie and done a bit more reading about the subject, Christopher McCandless aka Alexander Supertramp, this book went right to the top of my wish list and then sat on my Kindle for a few weeks before I finally dived in. 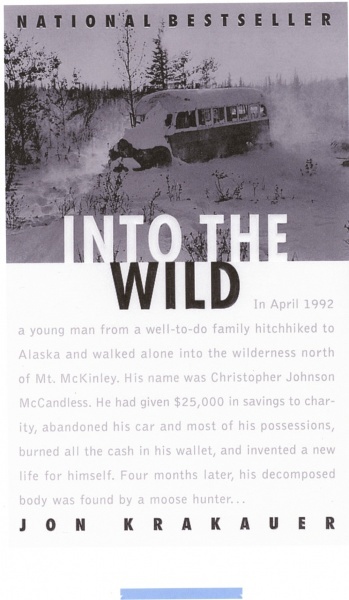 The book details what happened to McCandless, the bright, eager American man who dropped off the grid to roam across the United States and travel to Alaska, where alone in the wilderness he met his end. McCandless is an interesting individual, through his letters and the recollections of his family, friends and acquaintances we get a snapshot of what the young man was like. Clever, kind and driven, but tormented by a feeling of alienation from his family and distrust of authority which he could not put aside. He traveled into Alaska to live off the wild for a few months only to become trapped there and eventually starve to death. He divides opinion, some view his death as a sort of prolonged suicide, others view him as a cocky, dumb kid who didn’t know what he wasn’t getting into and others see his death as a tragedy, based on a mistake. Krakauer, a mountaineer with experience of the outdoors, is ideally suited to chronicle McCandless’ story. He seems to understand the young man’s love of nature, drive to be one with it and some of his attitudes. That’s not to say he paints McCandless as a whiter than white hero, he acknowledges the young man’s flaws- poor planning, excessive confidence in his own abilities and naivety, and also feels that many of the things that McCandless was angry about were things that in time he would have realized weren’t that important, or worth tearing his family apart over. This is one of the hardest parts of McCandless’ story, the way he completely severs ties with his family, leaving them worried and confused over his whereabouts, for a person who shows repeatedly a caring, compassionate nature, this is strange and hard to justify, Krakauer attributes it to McCandless holding his parents to a high moral standard that few, if any of us could reach. Krakauer doesn’t just stick to McCandless, he relates his own experience of hubris and the wild, to explain why he feels he can understand some of McCandless’ drive, he discusses other cases of Alaska claiming those who tried to embrace the wild and draws parallels and contrasts between them and McCandless. His writing is simple and open, and he routinely allows his own theories to come through, but always acknowledges that these are his feelings and expresses those of others. It’s a fascinating book and an interesting story, Krakauer’s opinion of McCandless’ end is the one which feels right to me too, that it was an accident, a tragic miscalculation that cost the young wanderer so dearly. McCandless’ life on the road may have come to a tragic end, but the young man’s verve and life before this are interesting and at times inspiring. It lacks the lyrical beauty of the film, and the McCandless Krakauer reveals has more flaws than his cinematic equivalent, but he’s still a fascinating bloke who seems to have been pretty much a nice, idealistic kid who made a few mistakes along the way. Verdict: A well written and fascinating book about an interesting, tragic story. Krakauer never judges those involved and writes with an open, emotional tone which works incredibly well. 8/10.